Pursuant to its new medical marijuana laws, Florida has licensed a limited number of medical marijuana treatment centers (MMTCs) as the only locations in the state that are authorized to cultivate, process, and dispense medical marijuana. All MMTCs must remain in strict compliance with the Florida medical marijuana testing requirements, including having their products tested by a licensed independent testing laboratory as a condition of maintaining their licenses. Low-THC Cannabis refers to dried cannabis flowers that contain 0.8 per cent or less of the active ingredient, tetrahydrocannabinol, and more than 10 per cent of cannabidiol weight for weight. 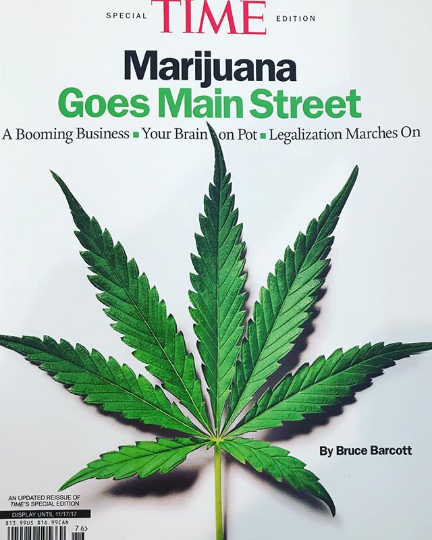 Marijuana refers to all parts of any genus of a cannabis plant, any resins derived from plants, and compounds (including low-THC cannabis) that medical marijuana facilities are licensed to dispense. Our MMTC consulting services verify that products dispensed by licensed MMTCs are within the boundaries of these definitions. Modern Canna Science uses state-of-the-art high performance liquid chromatography (HPLC) to assess the quantities of cannabinoids, including THC and CBD, in samples. Although other techniques are available to measure concentrations of these components, liquid chromatography has emerged as the dominant technique. HPLC assessments are only one part of Modern Canna’s medical marijuana testing services. The company’s laboratories deliver a complete analysis of every medical marijuana sample to give MMTCs all the information they need for compliance with Florida medical marijuana testing requirements, including data on terpenes, levels of residual solvents, pesticides, microbial matter, mycotoxins, heavy metals, and more. Aside from liquid chromatography, the lab also uses gas chromatography and inductively coupled plasma instrumentation. These instruments at Modern Canna can reach very low detection limits using Mass Spec, FID, and ECD detectors. Realizing that testing laboratories need time to qualify for licensing, Florida Senate Bill 8A envisioned that MMTCs could continue to rely on unlicensed laboratories through 2019. That Bill also included grace periods for the adoption of MMTC testing standards and material handling requirements. Modern Canna Science foresaw the need for MMTCs to have a licensed laboratory resource to fulfill their missions. The company’s central Florida facility was the first licensed laboratory in the State to work with MMTCs. Objective and evidence-based studies have shown the benefits of medical marijuana. With those studies in hand, state legislatures are leading the charge to give their constituents assurances that safe and effective medical marijuana products are available for the individuals who can best benefit from those products. Modern Canna Science plays a critical role in this process by offering licensed laboratory services to verify the quality, efficacy, and effectiveness of those products. Call us today for more information on how to utilize our licensed laboratory testing services to verify compliance with the Florida medical marijuana testing requirements.